Some years later, through changes in diet, DDP Yoga (check it out – it’s amazing) and putting on a pair of running shoes for the first time in my life, I lost over 100 pounds. My Facebook feed was full of photos of the meals I prepared and notifications from Nike Running Club that I was going for a run. When people “liked” my post, the app would cheer. It was really motivating! I attempted a half marathon in 2015 and was “swept” at mile 8 (I couldn’t maintain the minimum pace). I didn’t give up. I was training for a “rematch” with the same half marathon course when I read a Facebook post written by a law school classmate who I considered a close friend. I don’t remember the exact words, but the gist of the post was that people who aren’t serious athletes shouldn’t post about their workouts – that we just are attention seekers and our “friends” don’t really care about our workouts. Especially guilty were those of us who enter a competition and fail to complete it. I was devastated. He didn’t write my name, but I was all of those things. I did manage to finish the 2016 half marathon attempt (just barely), but afterward, I lost my mojo. I would run a few times a month, but I never got back into a predictable schedule. I stopped posting, so I lost the “cheers.” I stopped running, so I lost the endorphins that exercise releases. I started eating potato chips again. Life took some really tough turns, and instead of going for a run to ease the anxiety, I turned back to food. Over time, I packed on nearly 50 pounds of weight. As a self-employed person, my health insurance premiums became really expensive. I switched from traditional health insurance to a health share plan, and in order to be approved, I had to agree to work with a health coach. He doesn’t tell me what to do. He helps me to set goals, and when we check in every week or so, he asks me how I did. With his help, I’ve dropped 30 pounds. I’ve missed running. I’m very slow, so running any distance requires a significant time commitment for me. My “homework” from my coach a couple of months ago was to sign up for a race. I signed up for the Cleveland Rite-Aid Marathon Weekend 5K / 10K Challenge which was held this weekend (May 19-20, 2018). The “overachiever” in me couldn’t just sign up for the 5K. I had earned 3 medals in 2016 for completing a challenge, so registered for both the 5K and 10K and I set out to repeat that feat. Here in Ohio, the weather has been miserable. To top it off, my left foot has decided to grow some benign, but uncomfortable “lumps.” These two factors combined to make a very serviceable excuse to skip training runs. I skipped lots of them. Basically, I didn’t train – I just ran a couple of times when the weather was nice. I checked the weather forecast mid-week. Saturday and Sunday were supposed to be stormy. I ran the 5K / 10K in 2016 when Cleveland had sleet, hail and thundersnow (yes, that’s a real thing) in mid-May. I nearly didn’t pick up my race packet. By Friday morning, the forecast had improved. The forecast showed clear windows for both races. I posted about not being ready and about my food hurting, and a running friend (an ultramarathoner, no less) encouraged me to join the ranks of the injured and undertrained and do it anyway – so I did. Saturday was the 5K. I did really well. I ran the fastest 5K I’ve run since I started running again. I was stoked. Sunday, I arrived at the start and it started raining. I very nearly turned back, got on the train and made my way back to my car. The voice of my “friend” was back in my head. I was going to finish near the very back of the pack. I hadn’t made it to anywhere near 6 miles in my training runs, and to be honest, other than yesterday’s 5K, I had only run once or twice in the past month. I was just about to allow my “friend’s” imaginary voice that was telling me that I did not belong on the course to persuade me to return to the car when another law school classmate saw me and talked to me for quite some time. He was running his first race. That brief conversation gave me a minute to chase the other classmate out of my head. I was discouraged. I felt like crying when a voice cried, “Betty!” Yet another law school classmate stopped in the middle of her own race to grab me and wrap me in a hug. Take that, “mean guy.” People do care. The last mile and a half was slow, but I didn’t care. I was soaked to the skin (the rain never did completely stop) and out of energy, but I had a grin on my face that nobody could erase. I crossed the bridge over the Cuyahoga River that was just before the finisher’s chute. I collected my medal. I found my way to the tent where I received another medal for the completing two races in one weekend, and ran into yet another law school classmate. She cared, too. This is a long, long story. The moral of the story is be careful who you allow as a “tenant” in your head. Nearly every time I post on social media about a run or a race, I receive a whole bunch of “likes,” which I translate as a positive thing. Maybe it *is* attention seeking, but if that little reward keeps me on the track or trail, I think it’s worth it. Anyone who is not interested has the power to block, unfollow or simply “mute” me on social media. I allowed one post by someone who was probably going through his own issues YEARS ago to be an excuse not to do things that are good for me. Even sadder, that same guy wrote a post a couple of months ago apologizing to his social media friends for basically being a jerk a couple of years ago. Months later, I was still allowing his years-old post to be my excuse for not trying. I ran more than 9.3 miles this weekend, most of them in a cold, miserable rain. I didn’t use an app that “cheered” me, but I received live, in person love from people I haven’t seen in person in years. I collected 3 medals to hang from the cane that I used to need to hobble around my law school. Most importantly, I’ve issued an eviction notice to the imaginary “friend” in my head because I don’t want to renew his lease. It’s time for him to go. The announcer at the race said that 15,000 people were registered for today’s events. The fact that I found three people I knew, some at just the right moment to keep me from “throwing in the towel,” and one to share my joy in having finished went beyond coincidence. I believe in miracles, friendship and a bit ‘o luck. Today I experienced all three. To all of the people who have told me that I am an inspiration and the reason they started doing something hard – whether it was going back to school or exercising – even running: I’m back. Being told that you’re an inspiration can be uncomfortable. I wonder why people say that sometimes because I am so imperfect. Perhaps it is that very imperfection that inspires. I get back up time and time again. It’s okay to stumble. It’s okay to lose your way from time to time. Finding your way back to the path is what matters. Thank you for believing in me when I stopped believing in myself. To the friend who accidentally found his way into my head: I didn’t write this to call you out. It looks like your life today is going in a fantastic direction. I miss you and I’m proud of you….I just don’t want you in my head anymore. Okay? The moral of the story is: when you have to choose between listening to people who love you and want you to succeed and people who are going through a hard time and complaining about something they don’t like on social media, choose wisely! Peace out, I’m going to go hang up my medals! Today is a really proud day for me. Today I was featured by the DDPYoga team for their Transformation Tuesday posts on Facebook and Twitter. I will be appearing soon on their “works in progress” section on the website. I am an enthusiastic spokesperson for the plan, and I have not been paid for my testimonial. The lessons I have learned are far better payment than money. The seeds for my journey to good health were planted in 2012 when I saw a video about the remarkable transformation of a disabled former paratrooper who used DDPYoga to completely transform his life. I watched that video over and over with tears streaming down my face as Arthur fell down over and over, but ended up throwing away his crutches and learning to run again. Former WWE wrestler Diamond Dallas Page was in that video talking about helping Arthur. I googled Diamond Dallas Page Yoga and found the website for DDPYoga (formerly YRG). I ordered it immediately, then I received an email link sending me to TeamDDPYoga.com, a website for support where I found others who had watched the “Arthur Video” and were desperate for help, too. I weighed at least 322 pounds (that’s the highest my doctor recorded), with an ankle injury and arthritis in both knees that frequently required me to use a cane to get around, I was desperate. In my 30 years as an overweight adult, I have spent thousands of dollars on infomercial products, aerobics classes and diet meetings. I never stuck with any of it. When I received my discs, I began my transformation. I learned to get off the floor without using a chair. I learned to change the way that I ate. I learned to stand on one foot. I made great progress. I lost 30 pounds, and then life got complicated and the discs went back into the drawer. Although I didn’t gain back all of the weight, I stopped progressing. I re-booted the program a couple of times, but it wasn’t until I listened to the rest of DDP’s message – that life is 10% what happens to you and 90% what you do about it – that I began the real transformation. In March 2014, I hit a real low spot in my life. It was a low time physically, emotionally and spiritually. After a scary spell at work (a panic attack that I believed with my whole heart was a stroke), I committed to making the changes that would lead me to where I am today. I do a lot of running. I never ran as a young person. I believed that I couldn’t run. watching Arthur run ignited a burning desire to prove everyone (including myself) wrong. I took the first tentative steps on the treadmill and never looked back. Nearly a year and a half (and 796.4 miles later), I have learned to call myself a runner. Through my journey, I’ve met scores of awesome people – people who, like me, believed that they would never be able to reach a healthy weight – never be able to run. I receive messages that said, “You inspire me,” and I am so grateful for the opportunity to show others that it *is* possible to overcome bad diet, physical injuries, thyroid problems, PCOS and arthritis pain to build a better life. Last February I participated in the 2015 Disney Princess Half Marathon at Walt Disney World. I wasn’t able to finish, but the fact that I even STARTED is testimony to the fact that by owning your life, you can make tremendous changes. I’m going back next year to finish what I started. DDPYoga is “not your Mama’s Yoga.” There are no mantras, no meditation, no soft music or incense. We end each workout with a BANG! DDPYoga is but one facet of the wellness program that I have adopted, but it’s an important one. God uses many teachers to show us the way. DDP is one of the teachers who have shown up in my life when I needed it most. Tomorrow is an important anniversary for me. I will celebrate one year of learning to love life again. Sometimes depression creeps in unnoticed. We keep on doing the things we need to do, but we stop caring about the things that used to matter to us. We may continue to care about others, but we stop caring about ourselves. For me, it was like that. I can’t point to an event that triggered it. I don’t know why things changed. I just know that in the days and weeks leading up to March 9, 2014, I was in a dangerous place. I didn’t think anybody really cared. You see, at over 300 pounds I was having a lot of health issues. Daily life was difficult. Losing half of my body weight seemed like an impossible task to contemplate. I was having “heart palpitations” and began to feel as if I was about to lose consciousness on more than one occasion. I came to believe that I was dying. Rather than seek medical help, I decided to let nature take its course. I wasn’t about to take steps to actively end my life, but I didn’t want to make the effort to save it. I guess you’d call it passive suicide. My overeating and inactivity were robbing me of life in a very real way, and I didn’t care enough to stop it. I wish I could tell you what, exactly, flipped the switch in my head. On March 9, 2014, I made up my mind to call my doctor and ask him to prescribe an antidepressant medication. It was a Sunday. The office was closed, but I made up my mind. I called first thing on Monday morning. My doctor was out of the office for the week, but I had a prescription bottle and an appointment for the next week before noon that day. Opening the bottle and putting the first pill in my mouth, I felt both a sense of failure for not being strong enough and a sense of relief that maybe, just maybe I could feel better. I have a group of online friends who I have “talked” with in various places for 7-8 years. They are my invisible (not imaginary) friends. I have plants they sent to my dad’s funeral to prove they exist. I confessed to them my feelings of failure over needing medicine. I confided in them about the tremendous loneliness and the feelings of isolation I was experiencing. One of them suggested I try running. I chuckled at the thought. I tried going to the gym the next day. I had a panic attack. I couldn’t do it. I was afraid of judgment. I made my husband turn around and take me home. A fellow attorney practicing in another part of the state (not one of the previously mentioned group of invisible friends) who I have never met in real life sent me a message suggesting we virtually work out / run together and sign up for a race. The “Arthur” video began showing up in my facebook feed over and over. I’d watched it dozens of times before. I’d even purchased the DDP Yoga videos in 2012, shed quite a few pounds, and did a great job of learning to get off the floor (a skill I’d retained) before eventually giving up and going back to my old ways and regaining nearly every pound I had lost. I watched the video again. This time, when Arthur began running, the tears streamed down my face. I’ve learned in my life that when I start getting the same message over and over from different sources, God is trying to tell me something. I listened. I decided that if I wanted to live badly enough to put medicine in my body, then I wanted to live badly enough to take back my life. If Arthur could learn to walk again, and learn to run, then so could I. Those of you who have followed me the past year know how the rest of the story goes. I started walking, and then I began running slowly on the treadmill. I got over the fear of the gym and added weights to my workout. I hit the yoga mat and did some DDPYoga. I swam laps. I posted on Facebook (a lot). Soon the weather warmed and the outdoors called. I ran on the high school track. I ran through town. I ran on trails. I ran on the beach. Although I sometimes took Jimi the Wonder Dood with me, usually this was time to myself. I started seeing the wonder in nature- in leaves and waves and birds. I talked to God. He talked back in rustling leaves and wind on my face. He talked to me through “cheers” when friends “liked” my runs on Facebook. It wasn’t quick or easy. I still had days when sadness pressed on my heart and made it difficult to do anything that wasn’t absolutely necessary. Slowly, though, I returned to the land of the living. I stopped just going through the motions. I devoted more time to getting my soul back in order through prayer, meditation and lots and lots of sweat. The popular adage says that when life hands you lemons, make lemonade. I’m making lemonade and trying to give it away. One year ago I really didn’t care if I lived or died. One year ago, I thought that nobody cared. One year ago I couldn’t have dreamed how wonderful life is today. I still take those pills. I take another for my thyroid and one for my blood pressure. It’s part of my daily routine. The pills didn’t fix me. I had to do that myself with a lot of help from God and my friends and family. I still run. I still get sad once in a while. It’s no longer overwhelming. I’m a little frightened to post this, but I feel it is necessary. It’s scary to admit that you struggle with depression. I worry that it could hurt me professionally. I fear that people will think less of me if they know that I have problems just like anyone else. I believe that we need to move beyond the stigma that mental health issues hold. I believe that if people in pain knew how many people suffer with them, people would be more inclined to seek help before it becomes easier to think about dying than to think about living. Writing this blog post is me making lemonade. It’s not the “koolaid,” if it’s not your thing – move on. I don’t believe that God tests us like Job in the Old Testament, but I do think that he gives us opportunities to understand and help others when we face trials. I think that he gives us the grace to move through our challenges if we ask. I think that when we are taught lessons paid for with blood, sweat and tears, it is only right to share the lessons that we have learned. Please don’t give up. Don’t passively wait for your vices and problems to kill you. If you are depressed, there is hope. Medicine is not shameful. Therapy is not shameful. Don’t be afraid to ask for help. Don’t be afraid of failure. Don’t be afraid of judgment. Never, ever give up. Today, I celebrate the life I have been given. I am excited to see what the next 365 days holds. I am a work in progress. Next year you will see another brand new me. I can’t wait. To those of you who have “liked,” “commented,” or “shared” my writing in the past, thank you for encouraging me. To those of you who are new to this page, welcome. Thank you for giving me an opportunity to share with you. Today, I am celebrating life. Welcome to the party. I wrote this several years ago (2012) at the beginning of one of my “practice starts” to my healthier lifestyle. Every step I take, I carry her with me. I weigh as much as two of the *real* me. Every step I take is twice the work. I’m going to ditch the witch! She won’t go away all at once. I’ll have to push her away ounce by ounce. She knows she’s on her way out. I’ve started packing her suitcase. Most of the size 26 clothes are already in it. She can have them. I don’t need them. I won’t send her away hungry. The cupboard is full of processed foods with gluten and refined sugars. She loves that stuff, so I’ll pack her a care package. I’m going to ditch the witch. I’m going to run on the beach, ride roller coasters and chase kids and grandchildren. I’m going to buy skinny clothes made for one person – not two. I don’t need her anymore. Update: her suitcase is getting pretty full. She’s been given the eviction notice and she knows her time is limited. I’m going to run (and FINISH!) 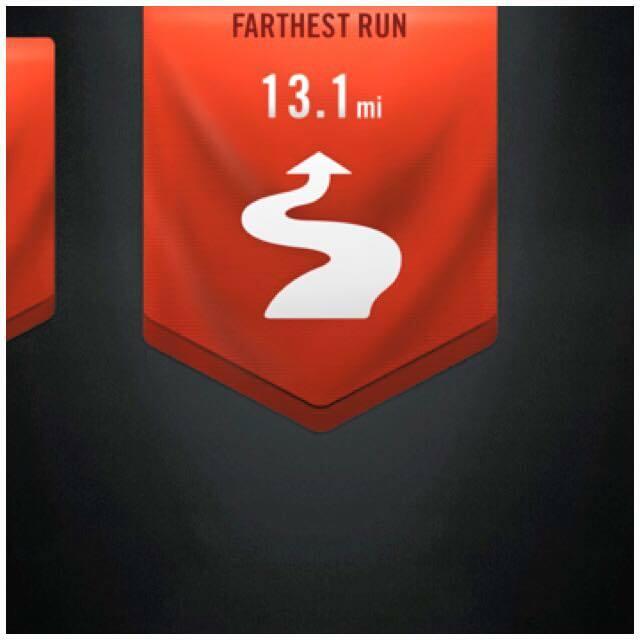 a half marathon. I’m going to zumba and kickbox and yoga and RUN her right out of my life. There is no time like the present. I really mean that. Right now is the time to start doing whatever it is that you know that you need to do but have been avoiding. You may think it’s too big. You may think you’re not ready. Whatever idea it is that you have in your head that’s holding you back, get RID of it. I dealt with the broken leg, the thyroid, the illness and death of several people close to me, undergrad, law school, setting up a law practice, and countless crises that come with the territory of being a wife, mother and human being. When I had bloodwork, my numbers were good. Although I was borderline hypertensive, my A1C and lipids were good. I prided myself on being “healthy fat.” I had a love affair with Ballreich’s potato chips and anything sweet or salty. Just about a year ago I was sitting at my office conference table with three friends who were in my Rotary Club. We were discussing what needed to happen and how to get things rolling. As one of my colleagues was talking, I realized that the room was fading. I broke into a cold sweat. My heart was doing weird jumpy things, and I couldn’t concentrate. I considered asking one of my friends to call my husband to take me to the hospital. I was feeling that strange. However, I said nothing. I concluded the meeting, went upstairs to my office and collapsed into my chair. I was chilled and clammy. I wondered if I was sick or dying, and at the moment, I wasn’t sure if I cared. Life wasn’t much fun. I had a hard time moving on the best of days. I was tired of watching the people who I cared about get sick and die. Whatever happened was happening to me passed. I went about my business and finished up the day. I didn’t pass out, die, or get sicker. I also didn’t say anything to anyone about what had happened. In retrospect, it was probably an anxiety attack, but in that moment it felt like death was knocking at the door. I got up the next morning and realized that something had to change. I had put off going to the doctor because I didn’t want to have the conversation about my weight. I hadn’t been on a scale in months. I don’t know exactly how heavy I was, but it was a big scary number, and it was only one of my problems. I posted in a Facebook group full of ladies I met on another internet site that I was having some troubles in my life that had me feeling very discouraged. One of those ladies suggested I look for a group called Moms Run This Town. She said that not only would I feel better getting some running in, but the other ladies would be great listeners as I worked through my issues. I thanked her, and laughed silently at the thought of me running anywhere. Over the course of the next week or two, more people suggested I try running. One offered to train with me for a 5K race. Although we lived miles apart, and the training together would be virtual, I agreed to give it a try. That night I put on my walking shoes and dusted off the treadmill. I walked a mile. It took a good, long time, but it felt good. I remembered a line from The Shawshank Redemption. Red said, “get busy living, or get busy dying.” I decided to get busy living. I’d been just simply going through the motions for far too long. When I first started exercising, it felt like I would never be able to “run” a mile without stopping. In those first weeks, I spent lots of time holding on to the side rails of the treadmill and supporting a good part of my weight with my arms. Still, I faithfully got on that treadmill night after night. Time passed, and I got up the courage to go to a running store for a pair of real running shoes. They didn’t laugh at me. I didn’t get sarcastic comments or rude remarks. I left the store with a box with a pair of shoes that cost a good chunk of change and I vowed not to let them gather dust in the closet. I vowed that if God would just let me live long enough to undo some of the damage I had done to my body, I would enjoy life again. As I progressed, I left the safety of the house for the high school track and then trails at local parks. I began participating in 5K and 10K races. I marvelled as a doe and fawn watched me run. I came alive listening to the sounds of nature. I began looking for new places to run. I visited parks and neighborhoods in my town that I had never been to in the 15 years that I have lived here. I’ve listened to music of every genre, waved at hundreds of strangers, learned to enjoy a good sweaty run, and I’ve enjoyed (nearly) every moment of it. I’ve learned that chocolate tastes better if you have to run a mile to earn a piece, and that potato chips are still my kryptonite. Since that day in March 2014, I have run over 450 miles. Today, I ran a half marathon on the indoor track at my gym. In two weeks, I will repeat that feat at Walt Disney World dressed as Ursula from The Little Mermaid. I can hardly wait. I’m still 100 pounds overweight, but I can run a half marathon. I’ve done a lot of reviewing the past year. What does it have to do with the present? I’m still here. I’m healthier than I’ve been in years. I’m happier than I’ve been in years. My life is still not perfect, but life is sweeter because I received a wakeup call. Only when I thought that I might possibly be dying did I realize how sweet life really is. I don’t take my life for granted any longer. I want to live long enough to dance at the grandchildren’s weddings. I want to jump out of a perfectly good airplane on my 65th birthday. None of those experiences are promised. Life is sweet and it can be cut short in a moment. When you “get busy living,” every moment, even the sad ones, is a gift. I don’t know what you’re struggling with. I don’t know what battle you are waging and which side is winning. I do know that whatever you want to happen, there is no better time than right now to start doing something about it. If you want to lose weight, get up and walk right now. Don’t wait until Monday to start your exercise program. If you want to write a book, grab your pen and write an outline. If you want to learn to play Rhapsody in Blue, get up and play the first page as slow as you have to play it to get all of the fingers in the right place. If you want to run a half marathon, put one on the calendar. Pay the registration. Recruit a partner. There is no time like the present. Tomorrow is not promised. You will never regret starting right now. A year from now you’ll wonder why you waited so long. I promise. I’ve never attended a twelve-step meeting, but I’m familiar with the one day at a time concept. I have often used it, or variations (one semester at a time, one month at a time…you get the idea) to deal with difficult or stressful events. I got through law school 16 weeks at a time. I told myself that I could do anything for 16 weeks, and having resolved to do so, I finished on schedule. I started making some big changes in my life in March. There was no plan. I was afraid that I was going to die. I had a couple of scary medical events. I was hypertensive, morbidly obese, and full of excuses. With a thyroid disorder, a busted up leg, severe arthritis, COPD and likely close to type II diabetes, I was a mess and convinced that my sedentary lifestyle and obesity were beyond my control. One day in February I was in a meeting in my conference room and the room began to get black around the edges while a ringing in my ears got louder and louder. I didn’t pass out. The event passed and I lived in far that it might repeat itself. Soon thereafter, I was walking through the grocery store with my husband when I broke into a cold sweat. I could feel my heart beating, and I couldn’t wait to get back home to crawl into bed and see if I lived until morning. This pattern repeated itself a few times over the course of a few weeks. I did not seek medical attention because I was convinced that my physician would scold me about my weight. I had a gym membership that had been unused for at least 9 months. Several times I got dressed for the gym only to have a panic attack on the way there and scream at my husband until he drove me back home. I was convinced people would stare. I was convinced people would laugh. I was convinced that people would find me disgusting – and tell me so. One day, I hit rock bottom. My health was scaring me. I was short-tempered, my family was bewildered, and I was depressed. I went to the doctor. He added a prescription for an anti-depressant to my list of meds and told me I needed to lose weight. I said I would (like I had each time I saw him over the many years before), and scheduled my follow up visit. The next day, I decided it was time to “get busy living, or get busy dying.” I dusted off the treadmill (we won’t talk about the thickness of the dust layer) and took a step. I don’t remember how long it took me, but I walked a mile that first day. I went back the next day and tried jogging a little bit. I was thrilled when I was able to “sprint” 2.5 mph for 30 seconds. Day after day, I went back to the treadmill, and was amazed at the difference those 20, 30 or 40 minutes made in my attitude. Having found the confidence to walk into a store for athletes without being met with scorn or laughter, I resolved to try the gym again. Armed with my new shoes, I made it through the door and through a circuit without anyone laughing, pointing, or (to my knowledge) posting a picture of my backside to their flickr account. I have a hugely supportive circle of family and friends. They have “liked” and commented on my runs (which makes my phone cheer), they have put up with me posting photos of myself in spandex, shining with sweat and holding up a medal. I began posting for accountability’s sake, and along the way I have received many messages telling me to keep posting because I have inspired my friends to make changes in their own lives. As I share my story, those friends keep telling me to write a book. I love the idea, but didn’t know where to begin. I finally know where the book is coming from. I am a survivor. I am a fighter. I am a listener. I am changing my life one day at a time, one step at a time, and one mile at a time. My name is Betty. This is my story. It’s still being played out. I want to help you become the person you were meant to be. I can’t tell you how to do it, but I can tell you how I’m going about it, and perhaps you will find inspiration to do the same.